Warren S. Grundfest, MD, FACS, was recognized internationally as an unparalleled scientist, surgeon, physician, inventor and biomedical engineer whose work in minimally invasive surgery improved and saved the lives of countless patients. He was also celebrated for his pioneering work in laser research and development as well medical ethics at a national policy level. After Dr. Grundfest earned his Bachelors of Science degree from Swarthmore College (1974), he studied Neurophysiology and Biochemistry with the Nobel Laureate Dr. Eric Kandel at Columbia University (1974-76) and received his medical degree from Columbia University College of Physicians and Surgeons (1980). Dr. Grundfest conducted his internship and general surgery residency at the University of California at Los Angeles (UCLA) (1980-82) and Cedars-Sinai Medical Center (1983-85). After serving for many years as a physician and surgeon, Dr. Grundfest was awarded the Dorothy and E. Phillip Lyon Endowed Chair in Laser Research and Development (1991–2001) at Cedars-Sinai. Early in his career, Dr. Grundfest was best known for his cutting edge work on the excimer laser for medical applications. In addition to being a professor in the Department of Surgery at the David Geffen School of Medicine, UCLA in 1985, he returned to UCLA full time as Chairman of a new program and subsequently, the Department of Biomedical Engineering at the Henry Samueli School of Engineering & Applied Science (1999) where he remained a senior professor until his death on December 28, 2018. Dr. Grundfest was also a member of the UCLA Brain Research Institute and the California NanoSystems Institute. 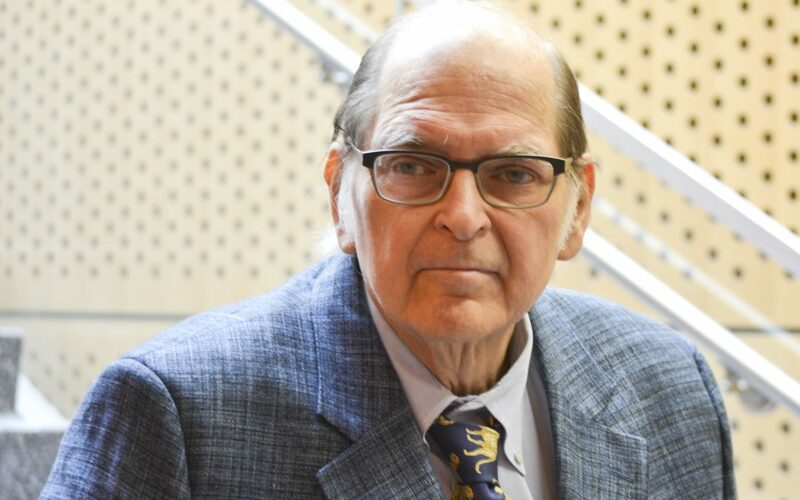 Above all, Dr. Grundfest was respected and beloved by the legion of undergraduates, graduate students, MD/PhD students and post-doctoral fellows he mentored throughout their education and often, their careers. In addition to holding two dozen patents and an additional half dozen provisional patents, Dr. Grundfest published dozens of book chapters and authored more than three hundred articles in scholarly publications and proceedings. In addition to teaching numerous courses in medicine and bioengineering, he gave hundreds of lectures all over the world during his forty year career. Dr. Grundfest served as a longstanding consultant and advisor to governmental entities such as the National Institutes of Health (NIH) and the Food and Drug Agency (FDA) as well as a Senior Scientist and Director of the West Coast Field Office for the Telemedicine & Advanced Technology Research Center (TATRC) of the U.S. Army Medical Research and Materiel Command. To his family and friends, Dr. Grundfest was known as an avid skier, a gourmet cook, a photographer, a mountain climber and hiker, as well as a maker of fine jewelry. His other passions included classical music, a deep love of animals and a lifelong commitment to a myriad of environmental and human rights causes. Warren Grundfest, born in Little Rock, AR on August 2, 1952, grew up in Belleville, NJ as a member of a family devoted to the practice of medicine. His father, Jack, was chief of surgery at several area hospitals, his uncle Philip was a well-known OB-GYN, his aunt Rose (Schneider) was a professor at the University Texas Medical School in Galveston, and his uncle Harry was professor of neurophysiology at Columbia University, in New York; and his older sister, Sharon Grundfest-Broniatowski, MD is a staff surgeon at the Cleveland Clinic Lerner College of Medicine at CWRU, where she is an Assoc. Professor of Surgery in the general surgery department (Lerner College of Medicine at CWRU, Cleveland Clinic, Cleveland, OH). Dr. Grundfest is survived by his wife Andrea K. Scott, formerly an archeologist and for the past thirty years an attorney and bioethicist living in Los Angeles, and his mother, Karolyn S. Grundfest of Belleville. Please RSVP by clicking HERE. RSVPs will be close Friday, February 15th, 2019. In the future, a fund in Dr. Grundfest’s name will be put in place through the American Institute for Medical and Biological Engineering (AIMBE). This memorial fund will generate an annual award and monetary prize to be given to deserving graduate students for excellence in interdisciplinary medical and engineering research. At present and in place of flowers, a donation to your favorite charity made in honor of Dr. Grundfest will be greatly appreciated by members of his family.